There's a long tradition of movie studios using gimmicky marketing to sell their horror films. When Psycho was released in 1960, the trailer ended with a warning to audiences that they wouldn't be allowed into the theater once the movie got started. 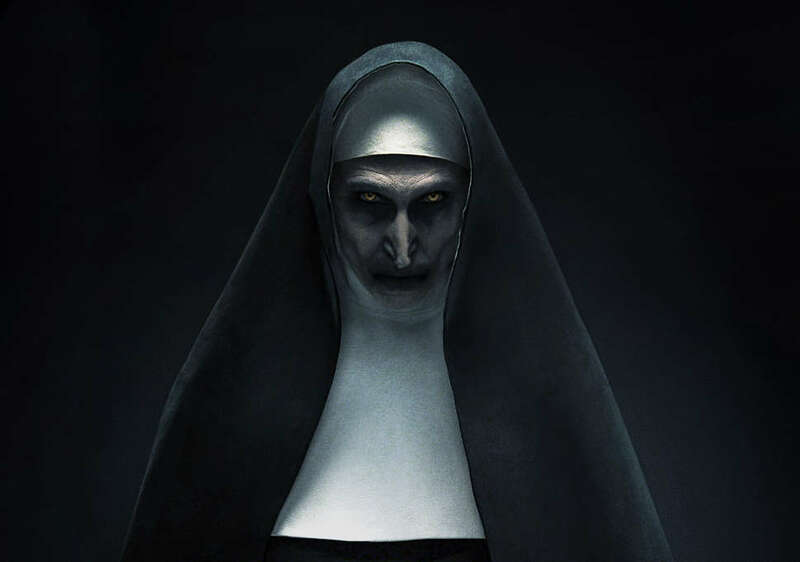 But a new ad for The Nun, the latest spin-off in the highly lucrative series of movies set in the same universe as The Conjuring, has generated so much controversy that it's actually been removed from YouTube for violating the platform's "shocking content policy." Obviously, no one thought The Nun was going to be a Sister Act sequel. The story is set in 1952 Romania and follows a Catholic priest sent to investigate the mysterious suicide of a nun. As Polygon reported earlier in the week, the YouTube ad, which opens with the image of a volume scrubber being turned all the way down and then cuts to a very loud jump-scare of the titular nun, caused users to complain on both Reddit and Twitter. "WARNING! If you see an ad on youtube with the volume sign being turned down and nothing else, it’s a jump scare for the new Nun movie coming out," read one popular tweet that generated over 100,000 retweets. "I advise you look away and/or turn down the volume if you have anxiety or just straight up hate jump scares." Last night, YouTube's TeamYouTube account, which provides updates about the service and troubleshooting tips, responded with a tweet saying the video was removed, which you can read below. The company also confirmed with Gizmodo that the tweet was accurate and that the ad was removed. The rules and regulations on YouTube can be difficult to parse, and, as Gizmodo and Polygon point out, the company's history of content moderation is complicated. One person's "shocking" can just be run-of-the-mill "spooky" to someone else. According to YouTube's ad policies, content that can be deemed shocking includes videos with "profane language," "gruesome imagery," and "gratuitous bodily fluids or waste." Makes sense. But there are also slightly more esoteric distinctions in the policy, like language about "the camera angle and focus, and the clarity of the images in the video." So, is the ad for The Nun really so disturbing that it deserved to get pulled? You can currently view a bootlegged upload of the clip below and judge for yourself. Scary, right? It's the type of ad that would be especially jarring to someone who was just trying to relax and watch a music video on their phone. If you were a kid, it would probably be pretty terrifying. At the same time, there are unboxing videos children regularly watch on YouTube that are even creepier and more haunting. The inherent subjectivity of it all is part of what makes moderating YouTube so challenging. If you really got a kick out of the ad, you'll get a chance to watch the whole movie when The Nun hits theaters on September 7. If you don't appreciate those jump-scares but still love nuns, maybe stay home.